Ideally located in the heart of Fira, at the main promenade of the town, just opposite the Greek Orthodox Cathedral yet offering the guests privacy and tranquility away from the crowds. The Greek orthodox cathedral, The cable car and the old port, The Prehistoric Museum, The Archeological Museum, shops, restaurants and nightclubs. 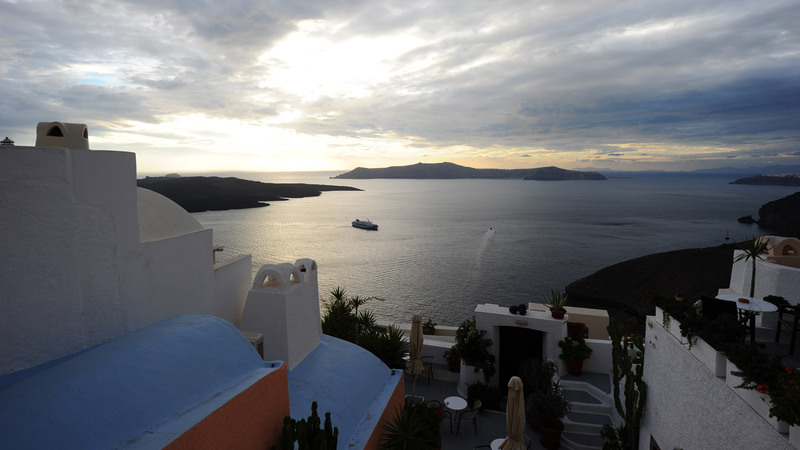 of Ancient Thira, the excavations of Akrotiri, black sand beaches and local wineries. The Volcano Island, The thermal waters, Thirassia Island.